When we talk about what a game is, one of the topics that commonly come up is about risk and return. A long time ago, when we were still in Yamanashi7, you explained your thoughts about risk and return to us in the office, and that, together with the scenery that time, made a lasting impression on me. 7. 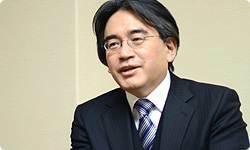 When we were still in Yamanashi: Satoru Iwata and Masahiro Sakurai once worked together at HAL Laboratory, Inc. They made games like Kirby’s Dream Land and Super Smash Bros. at the Yamanashi R&D Center in Yamanashi Prefecture, Japan. You drew a picture of Space Invaders8 on a white board. In that game, if you don’t shoot from directly under the invaders, you can’t hit them. But if you go under them, they can hit you with their missiles and that’s the risk. You talked about how risk comes with return, so you can almost explain the tactics involved in a game by the relationship between risk and return. I remember that made a lot of sense to me. 8. Space Invaders: An arcade game released in 1978. I often connect gameplay with risk and return, but I am aware that there is more to it in what makes a game fun. Like, maybe many people aren’t looking for gameplay per se. I’ve been thinking about how we need to pay attention to that. 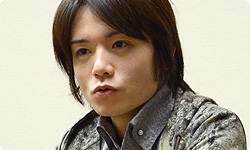 But even now when I think about games, what you said that time serves as a kind of criteria. Oh, is that so? Thank you. 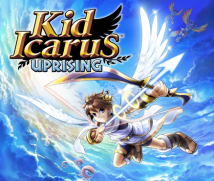 By the way, when the first game, Kid Icarus 9, came out for the Family Computer Disk System, did you play it? 9. Kid Icarus: An action game originally released for the Family Computer Disk System in Japan in December 1986. It became available on the NES (Nintendo Entertainment System) in Europe in February, 1987. I thought so! (laughs) What kind of game did you view it as back then when you were a student? It isn’t a very serious game. That year, The Legend of Zelda and Dragon Quest and Metroid came out. That year, 1986, was a bountiful one. Eggplant Wizard shows up. Rather, while treating the story with care, we tried not to get too serious. The main hero isn’t, for example, on a quest of self-discovery. Both the enemies and allies who appear are bright and lively, and we tried to give it a boisterous feeling like in Super Smash Bros.
Why did you choose Kid Icarus this time? Your first request to us was to make an original game. Yes. After Super Smash Bros. Brawl came out for Wii, I didn’t think the right course was to make a game in the same series right away. 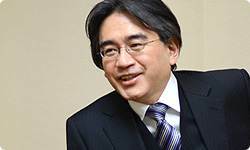 So I said, “Let’s do something a little different.” Also, the new hardware, Nintendo 3DS, was coming out, so to appeal to consumers, I wanted you to make something the in-house Nintendo development team wouldn’t. I made those two requests. a shooting game with air battles and land battles . At the same time, I wondered if we couldn’t revive a stalled series from the Nintendo lineup. I thought of which titles would be effective, and the central protagonist, Pit, is an angel who can’t fly, so I thought it might be interesting if he could fly via a kind of magical power and headed down toward earth. Air and land battles linked up nicely with the original game. Right. Ever since we had revived Pit for Super Smash Bros. Brawl, a lot of people wondered if we couldn’t come out with a new game. When overseas game media interview me during occasions like E310, people asked me every year if there would be a new Kid Icarus game. 10. E3 (Electronic Entertainment Expo): A video game trade show held once a year in Los Angeles. I often asked you about the software lineup for Nintendo 3DS that was being prepared by other developers. Yes, but if projects similar to the one I had in mind, or one with the same kind of gameplay was underway, I thought that I might change directions. So you really wanted a game that would fulfil a different role. A game for gamers to play to their heart’s content and enjoy. 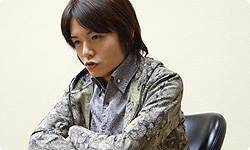 And when it comes to fighting games, including Super Smash Bros., I don’t want to lessen the tactics involved. Even if the overall game feels rough-‘n-tumble, you wanted to take the battle tactics seriously? Yes. For example, in Mario Kart, the person racing in the top spot undergoes all sorts of attacks from those running behind. That way, you don’t know who will win until the very end. That is the right way to go, I think. If I were to make a racing game, I might do it like that. But with battles in Smash Bros. and Kid Icarus: Uprising, there are hardly any elements where the computer confers disadvantages to the ones that are winning or rescues the weak. It is true that in Smash Bros., if your opponent has built up damage, even a weaker player can KO a strong one, but in a broader view, the strong player is the one that makes results. Of course, a strong item may just happen to be near a weak character, but we didn’t make a special effort to put all kinds of strong items next to weak characters. You prepared an even playing field so everyone can fight fairly. That’s right. But somehow beginners can play along with experts, and all sorts of varied results turn up at the end, regardless of each player’s skill level. It isn’t a matter of which is right, but a matter of which option you choose. Yes. What I’m saying is similar to, say, “because Mario Kart offers that type of play, we should take this approach that’s different.” We want to avoid advanced players wiping out the beginners, but rather than the computer assigning a handicap of sorts, we wanted to offset imbalances with changes at a larger scale. When it comes to the essence of the game, I want people to play hard!